There will be food shortage happening in 3 days! There will be no drinking water in 2 to 4 weeks! There will be no cash at ATM machines in 2 days! This practical report based on the regular trucking cycle experience of the industry shows the importance of this trucking business which not only profits but also yields the greatest benefits to the societies of the intra-states and the country as USA on the whole through the timely deliveries of products and goods that are most needed by the people as basics. But the trucking industry faces the most sustaining problems for finding good drivers to drive the long-hauls mostly because of strict regulations through Compliance Safety Accountability especially with regard to HOS –hours of service rules. To be CSA-compliant, the HOS is managed through the installation of Electronic Onboard Recorder (EOBR Device) to automatically record the hours of service of drivers to monitor their driving hours and breaks. EOBR is designed to disallow the extra long hours that drivers stay on the road which means that it is not safe for drivers to be driving the extra long hours on the highways owing to their health concerns like fatigue and illness. But the drivers differ and some of them who may tend to drive trucks for long hours on highways may be aiming at their pay that is based on the number of miles they cover will bring them good earnings, whereas the EOBR installation in trucks though is for the good of drivers but restricts their earning potential could be the main reason for the low turnout of drivers for this job. Though the drivers are permitted to drive for 60 long hours in a week of 7 days, there is still a dissatisfaction that persists. 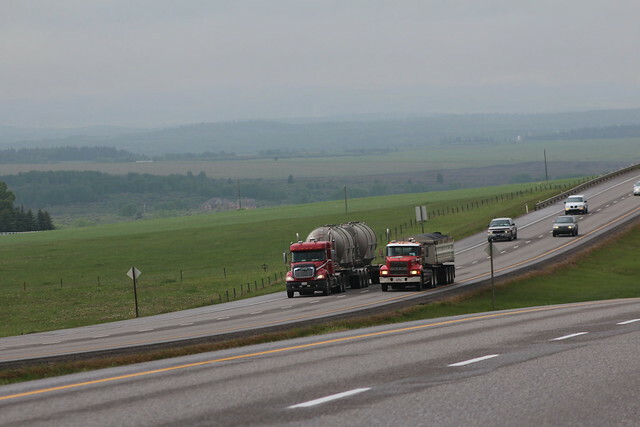 However, the road checks in the last two years as conducted by CVSA will bring in good awareness among the drivers about the good reasons for installing the EOBR for HOS regulations. The day will not be far for them to understand the health benefits because of these HOS regulations by CSA.